With a new year comes new challenges and changes for us marketing people. It’s no secret that marketing is one of the most volatile industries there is. One minute we’re using Facebook ads and the next we’re partnering up with Instagram influencers–you just never know what’s going to stick. Just like every other portion of a marketing plan, your SEO could always use a boost. And with the new year in full swing, why not tackle your marketing efforts head on? Before we start, you should know that search engine optimization can be broken down into three equally important sections–on site, off site and technical. To give you a quick breakdown, here’s what goes into each section. On-site SEO: On-site SEO is all of the stuff that is created and controlled by you. In other words, it’s the content of your site–blogs, web page content, internal linking and more. Off-site SEO: Off-site SEO is exactly what it sounds like: it’s off your site. Things like online reviews, social media, Google My Business and external linking all go into off-site SEO. Note: If you haven’t set your business up with Google My Business yet, you should. This gives potential visitors a look at your business’s location, website, contact info and more. It’s great for visibility and it’s a quick and easy set up! Technical SEO: Technical SEO is the nitty gritty of your SEO strategy. These are things like title tags, meta descriptions, alt attributes, site speed, SSL, responsiveness, and the list goes on and on. Before getting started on anything else, it’s important to check for any technical errors your site may have. Now that we know what each portion of SEO entails, let’s get into how to create the perfect SEO strategy. STOP. Before you do anything to your SEO strategy, you should first do some research. Believe it or not, it just isn’t possible to be an expert in an industry or service that you haven’t taken the time to learn about. And to be successful with SEO, you need to know your stuff. Take the time to deep dive into your clients and learn everything you can about the industry. This means finding out their buyer personas, their goals as a company, unique selling positions and more. In addition to the continuous learning of your clients, a successful marketing professional should also keep up on all things SEO. Due to the fact that search engines and website generator companies constantly change their algorithms and create updates, it’s important to stay up to date. Otherwise, you might miss something important that could throw off your entire strategy. Example: Let’s say you add a ton of new content to your site, full of keywords and internal linking. But, after re-crawling your site, you notice your visibility and ranking has gone down. Instead of assuming that your SEO efforts didn’t work, you should be curious as to why. Was it a change in a search engine algorithm? Maybe the search engine wasn’t able to crawl your entire site. These are the things you need to consider and look into, in order to strategize successfully. It seems like every time we look, Google is upping the content requirements for our pages. A few years ago, 400 to 500 words on a page was considered a healthy amount of content. Now, we’re shooting for closer to 1000 or more words per page. The more content you have, the more keywords search engines have to catch and the better your visibility will be. It’s important, though, that your content is not only quantity but also quality. Something to avoid in your blog-writing practices is keyword stuffing. If you stuff your blogs with so many keywords that the blog doesn’t even make sense, your content is considered to be keyword stuffed which is a huge no-no for rankings. Tip: A content strategy that’s making its way into almost every industry is blogging. Blogs are an easy way to add more content to your site, all while implementing those keywords. The whole purpose behind search engine optimization is to create higher rankings for your site and thus, better visibility. Think of it like this, higher ranking equals better visibility, equals more traffic, equals more conversions. That all sounds great! But what can you do to make your site more visible? This is where your technical SEO comes in to play. Before you can strategize amazing keyword implementation and blogging practices, you first need to make sure the back end of your site is in check. There are a multitude of awesome SEO tools you can use to check your site for any errors. 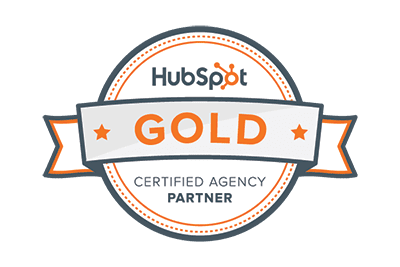 At Pinckney, we like to use Moz, SEMrush, pingdom, SEOquake and more. With the use of these tools, we suggest creating an SEO Audit. This will serve as a hard copy of all errors that your site has from the start–and can serve as a comparison once you fix them. Once your audit is complete, you can use the report to decide which portions of your strategy need more attention than others and then begin knocking out any errors. Picture this: Your SEO strategy has really taken off! Your site’s visibility is through the roof and you’re driving conversions like nobody’s business. But, your bounce rate is at an all time high. You can have the best SEO strategy in the world, full of internal linking and carefully curated title tags, but at the end of the day your traffic will depend on the way your site makes the user feel. We call this user experience (or UX). In short, your SEO strategy is getting people to your site, but your user experience is keeping them from staying on it. Something we talk about with inbound marketing is that the entirety of the marketing should be based around the customer (or potential customer). It’s all about being convenient and helpful to your customers. If your website is hard to navigate or difficult to even look at, you’re probably driving away more traffic than you are gaining it. To learn how to master UX for your site, take a look at our recent blog, Website Design with Inbound Marketing in Mind. I guess now would be a good time to let you know that there is no “end” to SEO. Kind of like how there’s really no end to a marketing strategy either. And–going back to that curiosity rant from earlier–it is always, always important that you stay up to date with your strategy. The more you monitor your site, the better you’ll get at strategizing for SEO. Practice makes perfect, right? Once you start getting in the habit of checking your error reports, visibility and rankings you’ll become an expert on what needs to be adjusted versus what’s working. Like we mentioned before, marketing is a highly-volatile field. And it’s hard to predict what will work and what won’t. See here to learn some search engine trends that are being predicted for 2019! 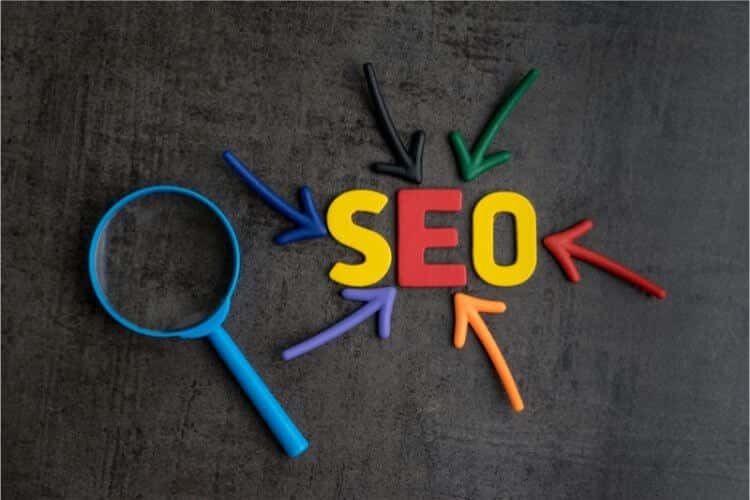 While we hope this article has given you some good insight on how to strategize your SEO efforts, we know that search engine optimization isn’t a quick and easy process. In fact, there’s a whole lot more to SEO than meets the eye. To learn the ins and outs from one of Pinckney’s very own SEO experts, download our free SEO Guidebook.